Lancaster Products has deep experience blending, mixing and pelletizing materials in the ceramics industry. Our High Shear Counter-Current Mixers excel in homogenizing powdered materials of different densities. Lancaster Products Mixers provide high-intensity mixer preparation of glazes for ceramics. Our mixing action produces reduced process times and improved productivity, and produces a more homogeneous solution for glazes and other applications. Granulation of the raw material for improved quality and strength for pressed tile. Preparation of the slip for use in the casting process for sanitary ceramics and technical ceramics. Preparation of plastic bodies for extrusion and formable bodies. The ability to prepare the dry raw materials and the plastic body in a single mixer. Excellent distribution of additives even in very small quantities. Simple corrections in moisture when required. Reduced processing time allows higher throughput from a smaller machine. Lancaster Mixers provide high intensity slip preparation for castable shapes. 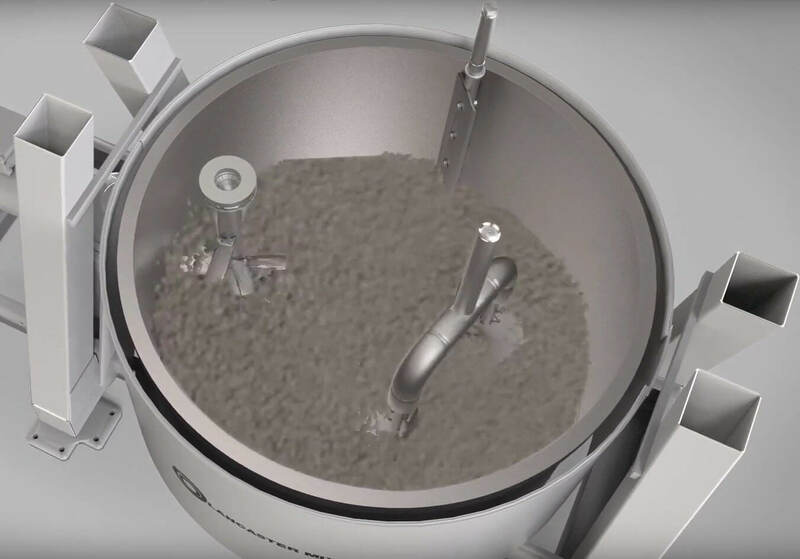 Our mixers result in reduced processing times versus the standard preparation in a blunger. Reduced aging times for the slip occur because of the high shear and desalination of the clay particles during processing. This results in the ability to cast the slip immediately after preparation without the typical 8-12 day aging period. Lancaster Mixers are used extensively in ceramic proppant preparations that include the mixing of raw materials and the graduation of the materials for green pellet production. This process can be completed with clay-based proppants, fly ash based proppants and many other materials that can be fired into a final proppant product.